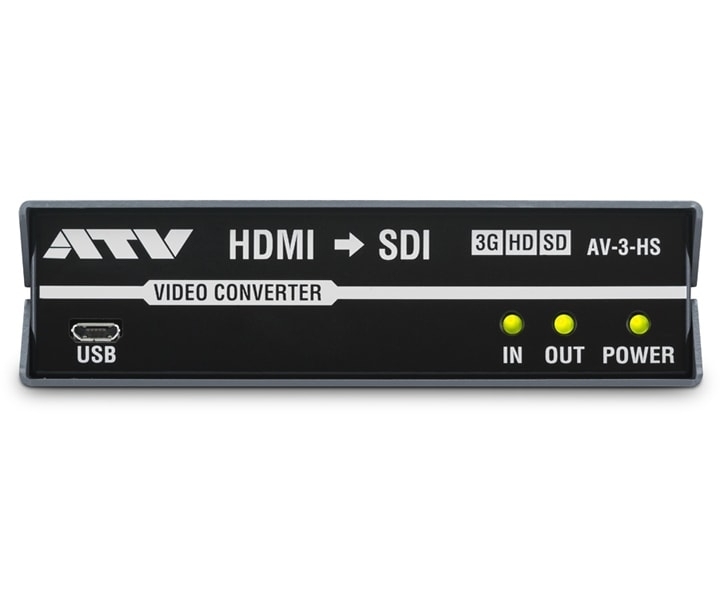 Converts HDMI to SDI. 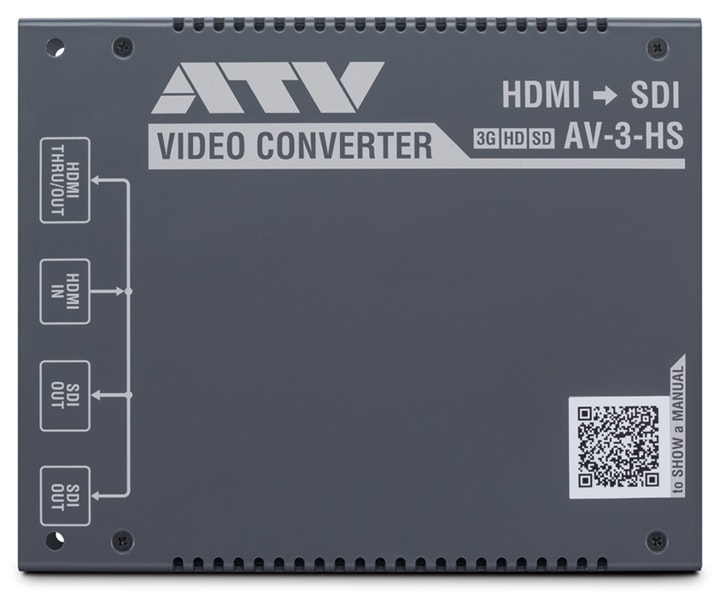 This converter has an internal frame buffer and supports frame rate conversion. Fully supports long distance transmissions which is great feature of SDI. The mission of the converter is to convert only the signal format and output a signal completely identical to the input source. 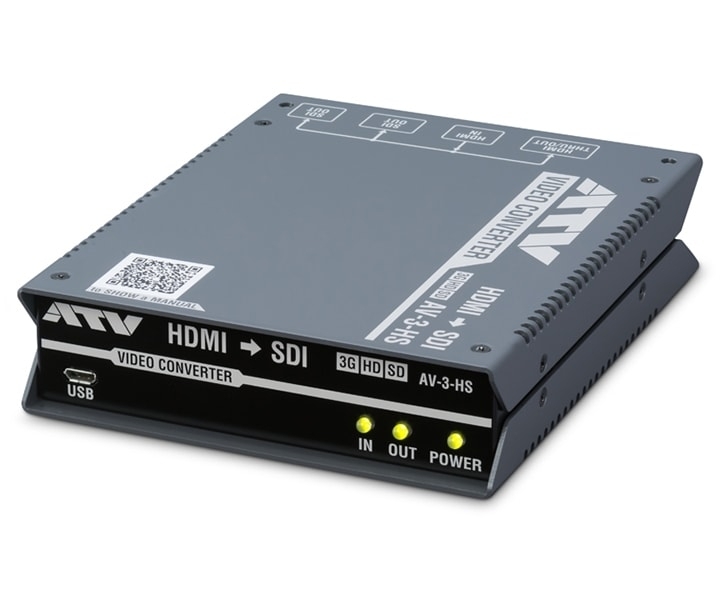 The AV-3-BD gives complete conversion with no clipping and that suppresses video signal deterioration to extreme limits, until a super black of 0 IRE or less and a super white of 100 IRE or greater is reached. The linearity of the color spaces is also of course maintained. This series has an internal frame buffer function in addition to a low-delay direct conversion mode. In order to avoid potential signal delays, many converters usually don’t include frame buffers. However the AV-3 series to the contrary, achieves frame rate conversion by way of an internal frame buffer. Further, even if the video signal is cutoff, output of a black or frozen final frame can be selected. Yet another function fades-out the audio in a minimum 1 frame and fades-in when restoring. On the other hand, a direct conversion mode to hold delay to a minimum is also included. 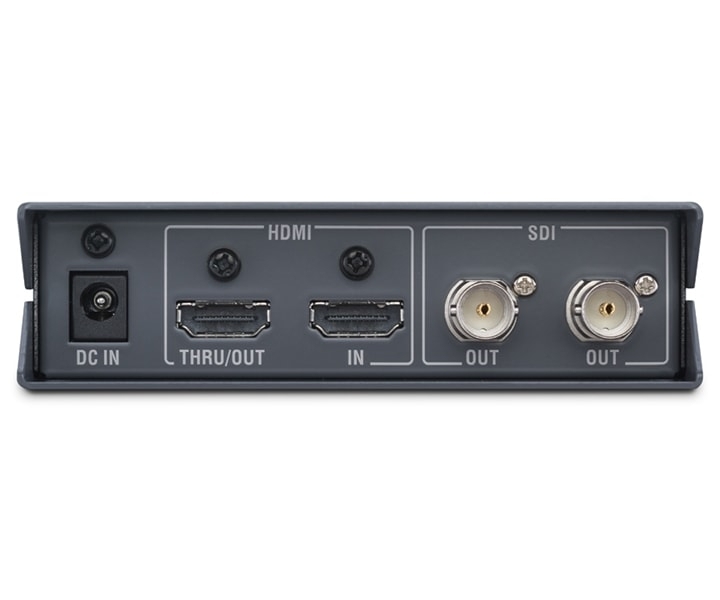 On the AV-3 series, users can make more detailed parameter settings from the software by making a USB connection to this unit from a PC or Mac. Parameters can be loaded and saved as files and can be instantly changed to match the usage site. Moreover, using a USB hub allows batch management of multiple AV series parameters. Control software for these tasks can be downloaded at no cost from the ATV official site.